A Google Business Tour is an invaluable tool if you’re in the business of selling a physical space. When you’re renting a holiday cottage or trying to entice people to book your venue for their wedding or event, it’s not always possible or practical to show them around the physical space. 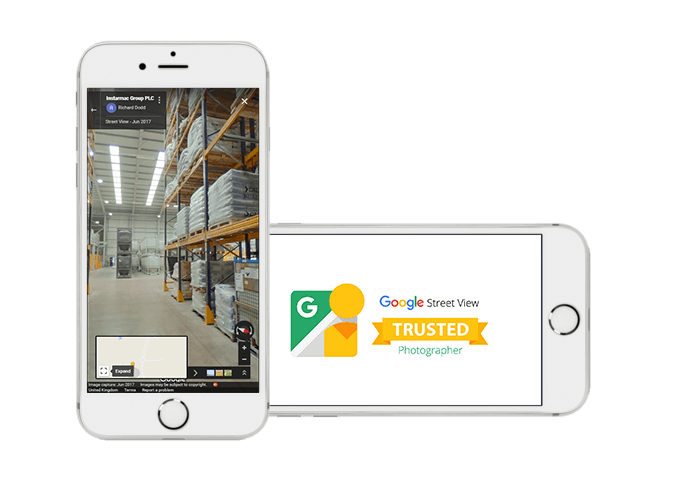 Google Business View gives you the opportunity to invite potential customers to enjoy a full virtual tour of your premises from the comfort of their own homes. Showcase your space at its best: dressed for a sumptuous event, clean and tidy with everything in its place, sunshine blazing through the windows. Photograph your property exactly as you’d love it to be at every client viewing. Show your customers you mean business! 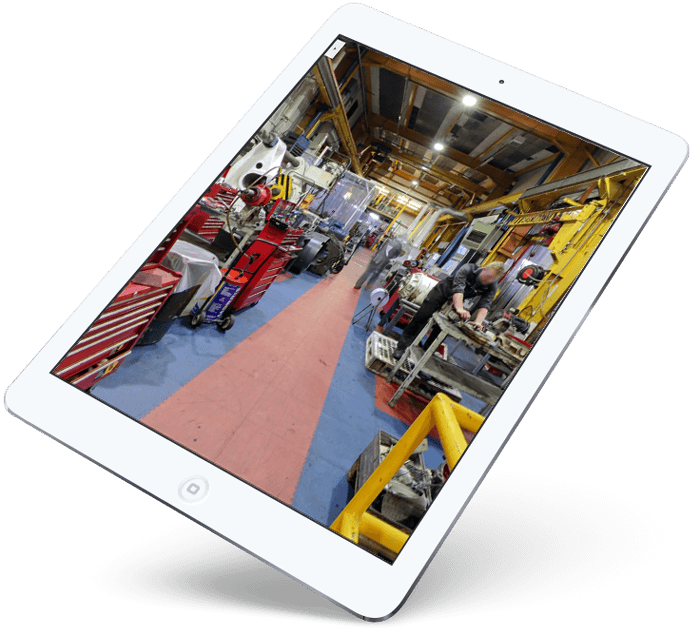 Perhaps you’ve invested in professional business premises, or operate state-of-the-art machinery and equipment in your factory or workshop. Show your customers you mean business by inviting them to look around your work space using a Google Business Tour. Your customers like to know who you are and where you work. It’s reassuring for them to see physical premises, and to get a sense of how you operate. 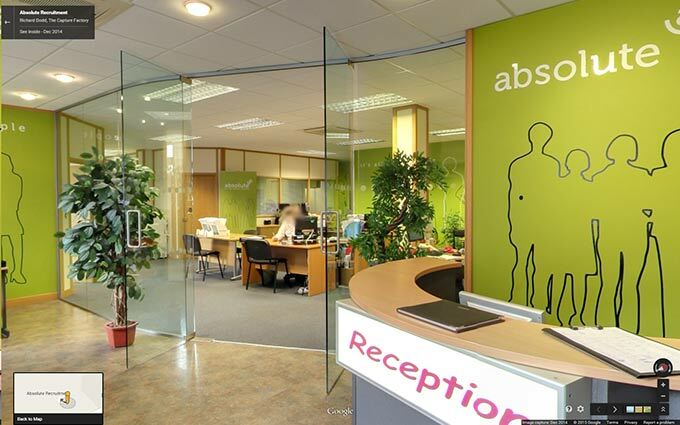 With Google Business View your potential customers can view your business, without having to leave their home. 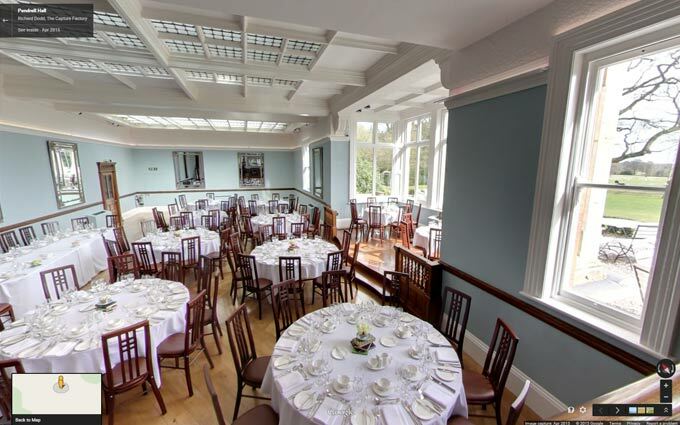 Your virtual tour will be visible on your Google Business Card, or can be accessed via Google Maps using the peg man. We can also embed the tour onto your website. 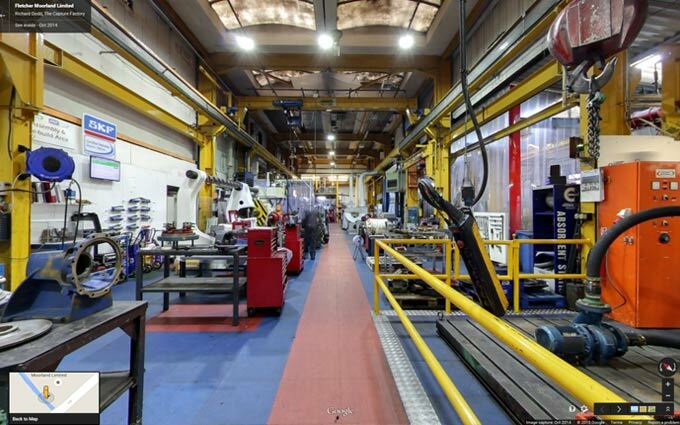 A Google Business tour uses Street View technology to enable the viewer to see the full 360-degrees, while also being able to move around the building. Are you selling goods or services? There’s a reason that all big brand stores look the same: customers generally enjoy the sense of familiarity it creates, they like to know what to expect. Invite potential customers to become familiar with your shop, café, restaurant, salon etc. by using a Google Business Tour and you’ll find they’re more likely to visit! If your livelihood depends on getting customers through the door, a Google Business Tour is essential. Call us today and ask about our competitive rates for a number of different properties. Take a look at our portfolio to find view our previous work. Stand out from the crowd in search results with your enhanced Google Profile which features photos, reviews, directions and more. Your Google + page will feature the ‘See Inside’ button to entice potential customers to engage and interact with your business. 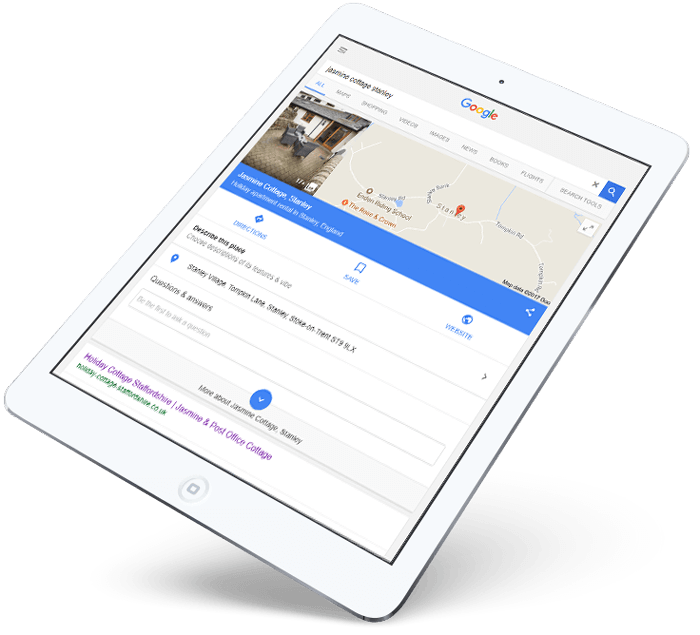 Get found through Google Maps! As an added benefit of the Google Business Tour we can validate the physical size of your business on Google Maps by publishing your ‘footprint’; we can add images to your ‘pin’ and make it easier for people using ‘Street View’ to wander in. Our Google Certified Trusted Photographer will visit your premises at a pre-arranged time and date to take hundreds of professional, high-quality photographs. These are then put together in specialised Google software to create your Google Business Tour. That all depends on the size of your premises. At an estimate, it can take anything from 4 hours to 10 hours generally. Can you do it outside business hours? Yes, we can be flexible about when we come onsite to do the photo shoot, but please bear in mind that your tour will look much better if we can shoot the images in strong daylight. 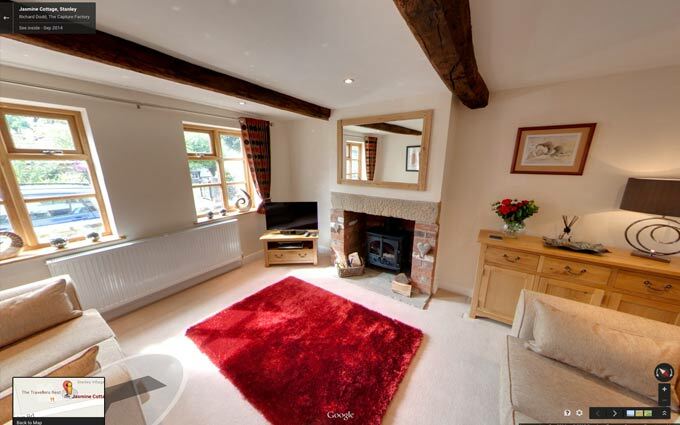 Can I feature the virtual tour on my website? Absolutely, we’ll embed the tour into your website for you.